With Easter just around the corner, it’s the season for a variety of religious celebrations. 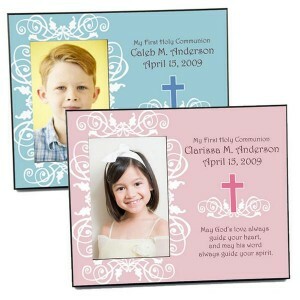 We offer a large selection of personalized gifts for Baptism, Christening, First Communion and Confirmation. From babies to godparents, we have selected our top 10 gifts for religious celebrations. The simple elegance of this beautiful silver-plated keepsake box will make it a gift to be treasured for many years. 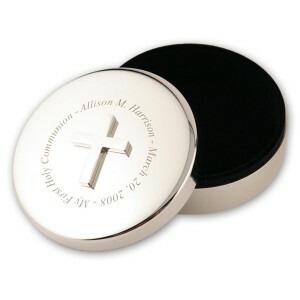 The box can be fully customized and features a silver cross in the center. This photo frame is a great way to remember a baby’s Christening. This beautiful photo frame can hold a cherished photo, personalized with the baby’s name. 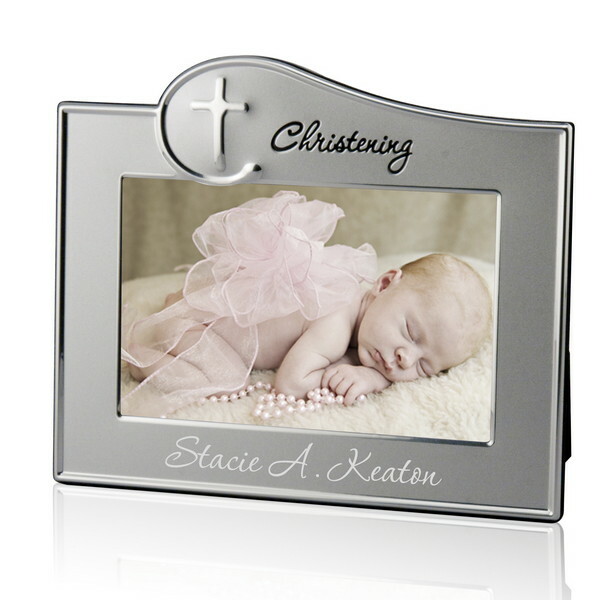 This 5” x 7” wooden photo frame features a beautiful pewter cross and a silver plate for engraving a message or a name. 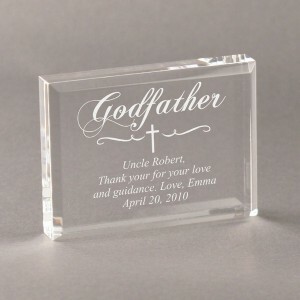 This makes a wonderful gift for Godparents, Grandparents or anyone else who participated on the special day. The elegant combination of wood and pewter will make it a welcome addition to any home. What a fun way to thank a special Godmother! This sweet mug features a playful fairy sprinkling her magic dust. 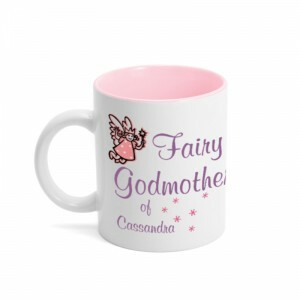 Personalize the mug with the name of the godchild, to always remind her of her important role as a Godmother. This great silver-plated frame is an excellent way to commemorate a blessed day. 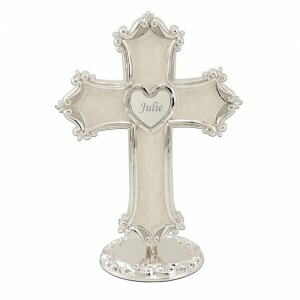 The silver plate is adorned with an elegant silver cross and has plenty of room to personalize with your own text. Personalize with a favorite verse, poem, or a heartfelt message. 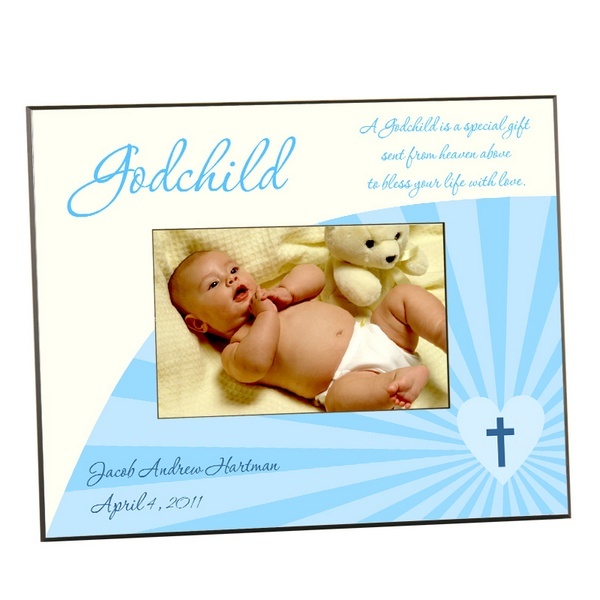 This elegant 8” x 10” Godchild photo panel makes a wonderful godparent gift. This personalized gift is printed on our durable photo panel, along with a treasured photo. This sweet cross will surely delight any little girl. The silver cross has a swirl pearl finish, and features a personalized heart accented with sparkly rhinestones. This elegant heart will make a wonderful personalized Communion gift, or Confirmation gift. Instead of writing a thank you card, why not give them a keepsake with a heartfelt thank you message engraved on it. This keepsake plaque makes an exceptional Godfather gift. It will surely be a treasured reminder of the promise they made to their godchild. 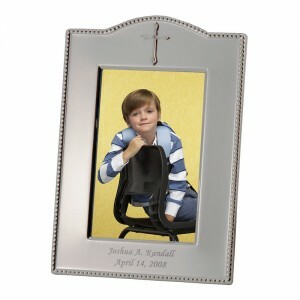 This charming photo frame makes a great gift for First Communion and Confirmation. Simply choose the color and personalize with the name, date and a special message. 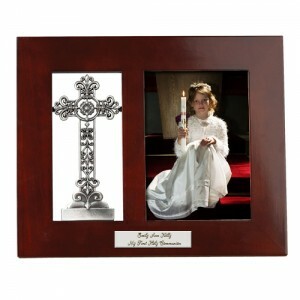 This frame is perfect for any occasion, whether it be Baptism, Christening, First Communion or Confirmation. You can personalize this elegant silver-plated 4” x 6” frame to suit your needs. We hope this gift guide helped you in selecting a special gift for a loved one. Please visit us at https://www.memorablegifts.com to see our full collection of personalized religious gifts, as well as personalized gifts for all occasions.